More than 6000 fans casted their vote and the results revealed how confident the "Madridismo" is regarding this season. 74% of the voters surveyed affirmed that Real Madrid have the necessary weapons to win their 10th UEFA Champions League in the club's history. 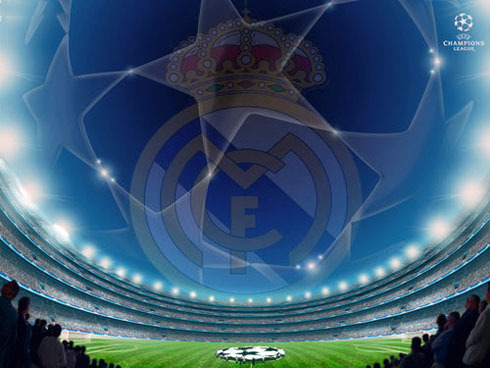 Real Madrid keeps impressing the World this season and the "Madridismo" showed their faith in that this could be the year where the club wins their 10th UEFA Champions League title. Close to 4611 of our readers (74%), voted that the club has what it takes to win the Champions League this year, even though the Spanish League "La Liga" remains being the main priority. Last time the club was crowned European champions was 10 years ago, in the 2001-2002 season, after beating Bayer Leverkusen in the final, by 1-2 (Raúl and Zidane were the goalscorers). This Tuesday, Real Madrid will take their 5th fixture in this season's UEFA Champions League, after having won their 4 previous matches, with a perfect 12-0 goal-average record. Cristiano Ronaldo is the team's top goalscorer, with 3 goals scored so far (2 against Lyon and 1 against Ajax), being only 2 goals behind his last season's mark (5). Already qualified for the competition's next stage, Real Madrid's coach, José Mourinho, is not expected to rotate many players this Tuesday against the Croatian team and therefore, Cristiano Ronaldo will most likely be on the line-up against Dinamo Zagreb, seeking to catch Barcelona's Lionel Messi on the top goalscorers table, who already has 5 goals on his tally. You can check Ronaldo's complete stats for this season in the Stats section. The "Merengues" are on a 11-games winning streak, having scored 41 goals and conceded 6, when accounting for the club's fixtures in both "La Liga" and the UEFA Champions League. Being just 2 weeks and a half from a most anticipated colossal battle, in the 10th December Spanish League fixture against Barcelona, Cristiano Ronaldo and his teammates have only one objective in their mind and that's arriving to the "Clasico" with at least the current 3-points safety margin. However, this Monday José Mourinho said he won't disregard Real Madrid's responsabilities in the UEFA Champions League and assured that the club will always to play to win, score goals and entertain people. One of the good surprises we can expect from this game is Nuri Sahin's debut in European competitions for Real Madrid, as well as Fábio Coentrão's return from injury. 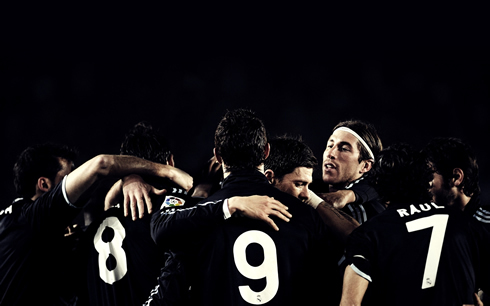 Real Madrid next match is against Dinamo Zagreb, for the UEFA Champions League, right this Tuesday (22-11-2011). You can watch Juventus live stream, Real Madrid vs Dinamo Zagreb, but also Manchester United vs Benfica inside our football live streams. Tomorrow, you can also follow the big game of the night, with Milan vs Barcelona clash, that will be held in San Siro.